Troops operate in Hevron, surveying house of suspected murderer of Ori Ansbacher in order to examine the possibility of its demolition. 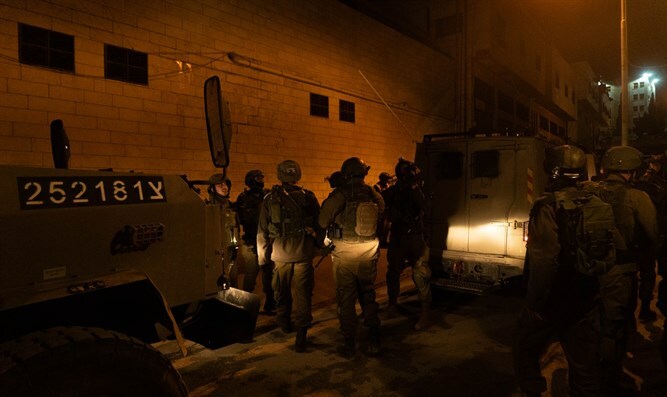 Overnight, IDF troops operated in Hevron, where the suspect in the murder of Ori Ansbacher is from. During the operation, the troops surveyed the suspect's house in order to examine the possibility of its demolition. The interrogation revealed that on Thursday morning Arfiah left his home in Hevron carrying a knife and made his way to the village of Beit Jala. For an unknown reason, he walked toward the Ein Yael forest, where he noticed Ori Ansbacher, attacked and murdered her.